Mini Tote Set of 12 Personalize each tote bag to make a great gift. They also make great party favors. Decorate each one different to match every occasion. 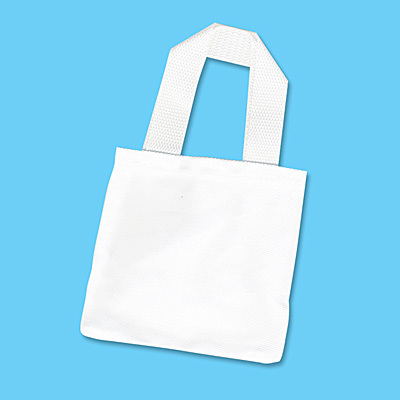 Contains: 12 polyester/cotton mini totes with nylon cording. Open stock. Size 5.5"x 5.5".